Newcomer Family Obituaries - Walter M. Schurig 1946 - 2019 - Newcomer Cremations, Funerals & Receptions. 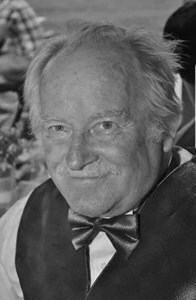 Walter M. Schurig, age 72 of Dayton, passed away Sunday, January 20, 2019. He was born December 23, 1946 in New Boston, Michigan, the son of the late Walter and Cleo Schurig. Along with his parents, he is preceded in death by his son, Walter "Ernie" Schurig; brother, Donald Schurig; and grandson, Sean Sopczak. Walter is survived by his children, Margerett (Chris) Floyd, Daniel (Mary) Schurig, Beverly (Eric) Terbay; significant other, Debra Quallen; grandchildren, David (Diana) Lowe Jr., Chelsea (Shawn) Brightman, Nathan (Niqua) Shockley, Tiffany (Kyle) Massing, Casey Schurig, Juanita Price. Megan Floyd; great grandchildren, Roman Lowe, Thea Brightman, Ava Shockley; sister, Doris (Larry) Miller; as well as numerous nieces, nephews and friends. Walter was employed with Link Corporation and later retired from Custom Manufacturing Solutions in 2012. Walter had a great sense of humor and was a master practical joker. A Memorial Service will be held on Monday, January 28, 2019 at 2 pm at Trinity Lighthouse Church (4701 Frederick Pike, Dayton, OH 45414). To share a memory of Walter or leave a special message for his family, please click the "Share Memories" button above. Add your memories to the guest book of Walter Schurig. So very sorry to hear about the loss of your father/grandfather/great grandfather. We will remember seeing him at all the weddings, birthdays and other family celebrations, he was so proud of his family. May he Rest In Peace with all those who have gone before him. His legacy/family shall live on to pass down his stories. You were one of a kind, and we are all better people for having known you, and blessed to call you ours. I know your onery ways will continue on, and that you and Uncle Ernie are having a ball in your heavenly reunion together! Watch over us all. We love and miss you always.